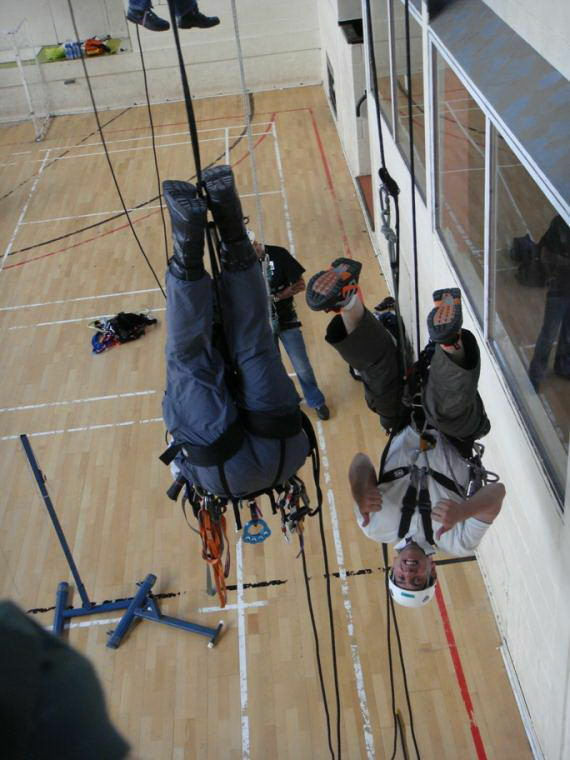 9120 Meters (29921 Feet) continuous abseil completed in 19 hours 38 mins. 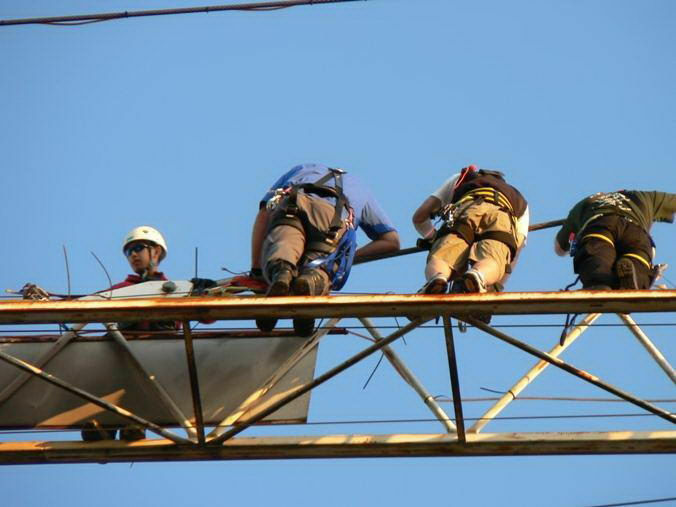 "Working through the night in such a potentially hazardous event meant we really needed to be able to rely on the Safety Crews. 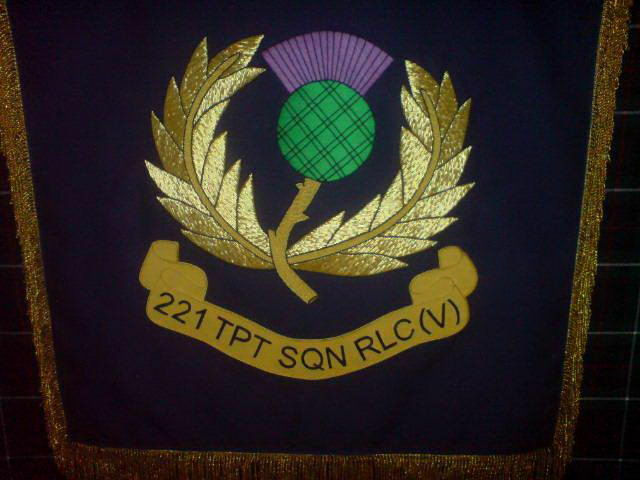 "Donald Ritchie: Although the H4H event was a huge success, we had real problems with weather – it started tipping it down at 4am on Sunday morning. But the safety crew decided the event could carry on, to allow the teams to complete their cumulative target of climbing the equivalent of Mount Everest." 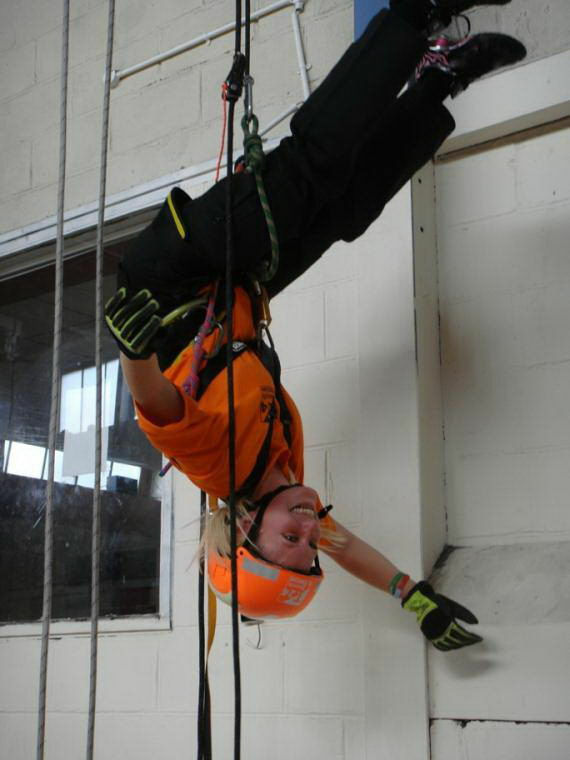 many of the teams had never abseiled before and some of those taking part were seriously scared of heights. "It took real bravery to overcome their fear, but they managed," he says. They were also incredibly fit: "Some of them were almost running up the tower, even after 15 or 16 ascents." Friday 24th July 2009 teams arrived at Ritchies Training Centre in Glasgow www.ritchiestraining.co.uk our main sponsor for (Help for Heroes) Heroes Support Heroes, Climb Walk and Abseil Mt Everest charity event. They were put through there paces in Sighthill youth Centre. After the indoor training session the teams moved outside to our training area at Ritchies Training Centre where we had a training rig set up at low level so the teams could practice for the big event! 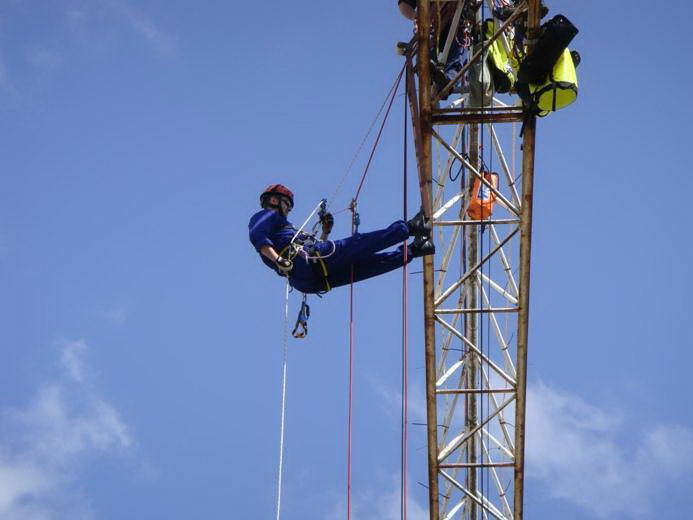 each team also had intensive training on how to climb the tower cranes internal ladder system safely and most of all how to walk along the cranes jib that has a footing of only approx 4 inches. As you can see by the photos training carried on until late evening. Climbing the tower cranes 38 meter Internal vertical ladder system, muscles in the legs and forearms will already be feeling the strain! No matter how fit you are. 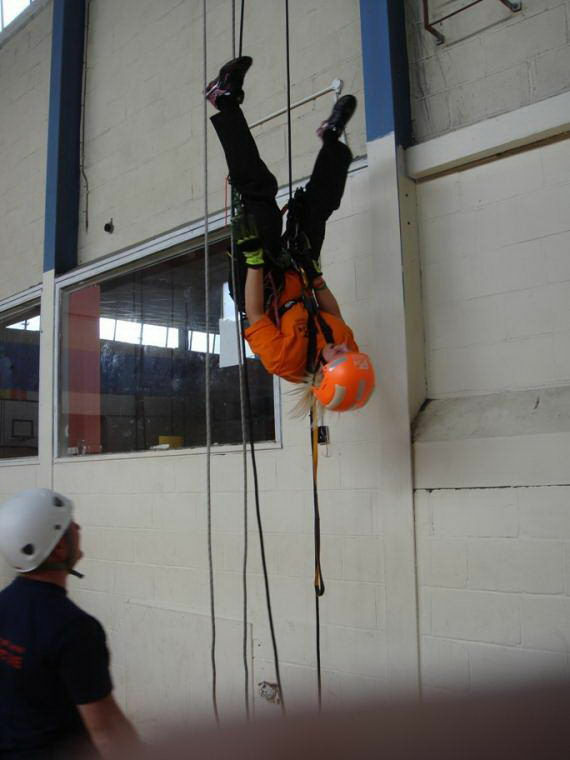 Abseiling from this height is no easy task! Just double checking to make sure!!! Oh Yeah! (Private joke) Love it. Andy and Ben (Coastguard) 1st prize goes to Andy for getting the biggest, deepest burn blister on his hand anyone has ever seen in a long while (Abseil equipment heats up a lot, friction of the rope going through the gear) even with gloves on it can still burn through to the skin. After the medic sorted him out, he still went ahead under a lot of pain and finished the event. Marianne & David my better half! Lloyd Campion, front (Campion Cranes) and Lee (Bruce) helped us out big time with time keeping / ground safety etc and drinking all our beer! ha ha. Thanks lads you were a great help. Donald, Nicola & Jim with his new mug which does not leak, much and you can get the top of easy, honest! Day 2 it started tipping it down at 4am on Sunday morning. 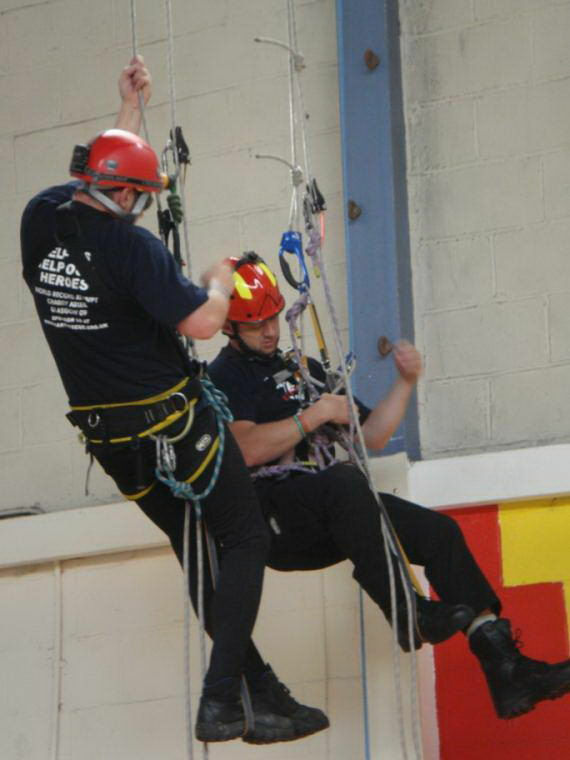 But the safety crew decided the event could carry on, to allow the teams to complete their cumulative target of climbing the equivalent of Mount Everest. Lastly I'm sure everybody who attended the event would like to say a "Big Thank You" to the people who helped in making this event possible! 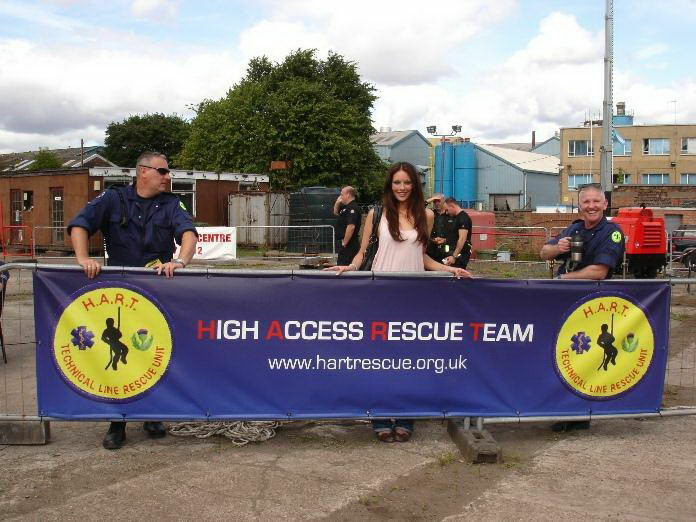 without them "Heroes Support Heroes" Climb Walk and Abseil Everest, Help For Heroes 2009 challenge, would not of got of the ground. 221 Sqn supplied the field kitchen and all the food to feed us all over the weekend, Best food we have tasted in a long while. The Guys provided food 24 hours a day and would give any top class restaurant a run for their money. 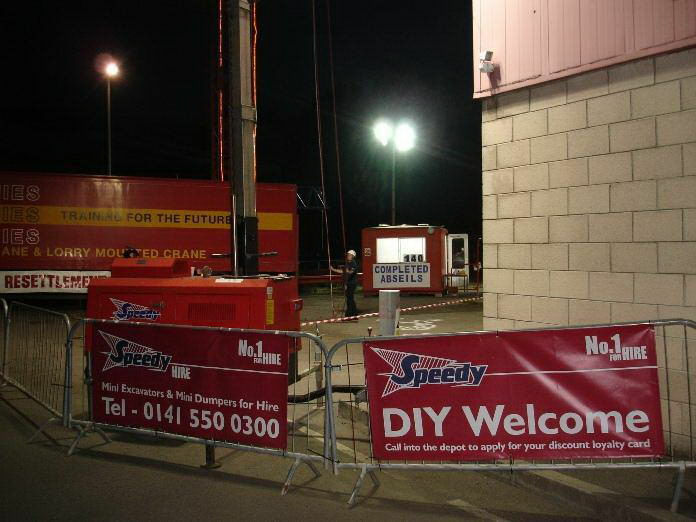 Again a big thank you to Speedy Hire Glasgow for giving us lighting towers! 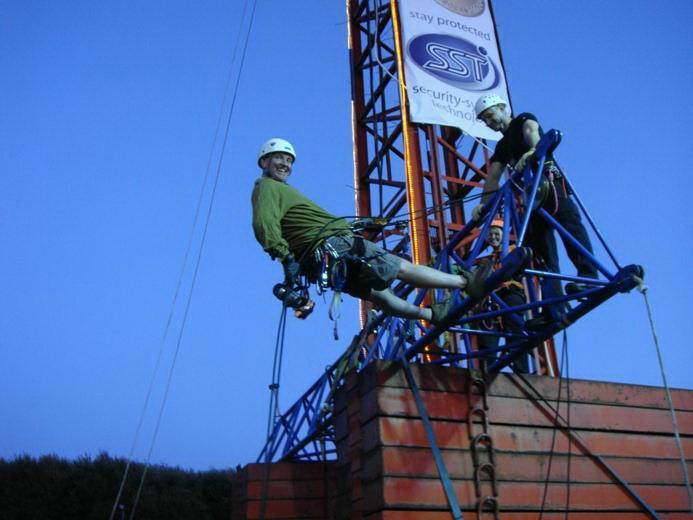 They worked better than expected, as you can see they give us the lighting needed to abseil throughout the night.